Gottlieb said he was horrified at the recent rapid rise in teen vaping. He called out the most popular product — Juul— by name and said his efforts to get companies to voluntarily dial back on candy-flavored products and heavy-handed marketing techniques were not having much effort. A leading U.S. cancer charity is now advocating vaping for smokers struggling to quit combustible cigarettes and says there is an “urgent need for consumer education” to clear up misconceptions. E-cigarette Market report analyses the entire production and supply chain of the Market and provides information as per different phases. Whereas, on the basis of sales, data related to sales volume, sales price, cost, sales income, and profit margin etc. 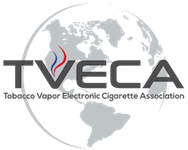 of E-cigarette Market used in different fields, sold in different regions and by different companies is provided in this report. British American Tobacco PLC's quest to develop innovative tobacco products has led the manufacturing giant to make its first investment in a venture capital fund. The company, which owns Reynolds American Inc., confirmed Tuesday that it is participating in the Chinese investment fund known as China Materialia. BAT did not disclose the amount. The Daily Telegraph of London reported Monday that the BAT investment could be as much as $6.7 million. The federal government has introduced the most sweeping changes to the Tobacco Act in a generation. Among the changes announced last week, the new regulations will apply many existing tobacco regulations to vaping products, restrict “lifestyle” advertising for vaping products, the use of testimonials or any reference to e-cigarettes as healthier than standard tobacco products, and give Health Canada the power to implement plain and standardized tobacco packaging. Today, the U.S. Food and Drug Administration continued to take important steps to address youth use of e-cigarettes by sending official requests for information to four e-cigarette manufacturers requiring them to submit important documents to better understand the youth appeal of these products. Rome City School District Superintendent Peter Blake Monday stood with a number of Central New York principals, parents and students outside Fayetteville-Manlius High School as part of a movement asking the federal government to ban kid-friendly e-cigarette flavors. BACKGROUND: Cigarettes have been strongly associated with subsequent marijuana use among adolescents, but electronic cigarettes (e-cigarettes) are now rapidly replacing traditional cigarettes among youth. This study examines associations between youth e-cigarette use and subsequent marijuana use in a national sample. WINSTON-SALEM, N.C. (AP) — A big cigarette name is recalling the power units used for about 2.6 million electronic cigarettes. R.J. Reynolds Vapor Co. has issued a nationwide safety recall of all Vuse Vibe power units after consumer reports that batteries malfunctioned and caused the units to overheat and create a fire risk. No injuries have been reported. The Food and Drug Administration is pressing ahead on regulating tobacco products, but a long-simmering battle has erupted over the future of e-cigarettes. Anti-tobacco groups say it's time for vaping companies to submit information about their products to the FDA, while e-cigarette manufacturers say such a demand is burdensome, unnecessary, and would create a black market of dangerous products. Meanwhile, tobacco companies are hoping to cash in by creating their own inhalant alternatives that would heat, rather than burn, nicotine. E-Cigarette Market research is provided on all the vital factors such as consumer needs and trends those will create significant impact on the present and future market situations. E-Cigarette Market report will help buyer to minimize the decision associated risks and to create results driven business strategies. Since the Family Smoking Prevention and Tobacco Control Act (TCA) was signed in 2009, FDA’s Center for Tobacco Products (CTP) has been responsible for using the tools of product regulation to help reduce the disease and death associated with tobacco use in the United States. As part of that effort, the agency is reviewing applications for new tobacco products and monitoring which tobacco products can be sold and distributed on the market in accordance with the law. Couples desperate for a baby are being denied NHS-funded IVF treatment because they use e-cigarettes or nicotine patches, The Mail on Sunday can reveal. Even as the population of regular smokers in Hong Kong has declined over the years to about 10 per cent, the use of electronic smoking devices among them is on an alarming upwards trend, according to latest government figures. There's no doubt about it. E-cigarettes have the potential to save millions of lives. What makes smoking so dangerous isn't the nicotine, per se. Nicotine is an addictive alkaloid, just like caffeine. (Believe it or not, plants produce both compounds because they are insecticides.) The addiction makes people want more tobacco, but the molecule itself isn't all that harmful. Many continue to misunderstand the purpose of "Risk Reduction"
The survey was presented in a poster at the 2018 American Academy of Allergy, Asthma & Immunology (AAAAI)/World Allergy Organization (WAO) Joint Congress in Orlando, Florida. Big Tobacco taking control of scientific discussion on E-cigarettes & Heat, not Burn! The American Cancer Society is recommending — with caution — to health care clinicians that they add electronic cigarettes and vaporizers as a smoking-cessation option. The nonprofit group stressed Tuesday its policy statement is directed strictly at adults, including strongly recommending against its use by the young. It said it will closely monitor e-cigs innovations and research. In March last year, a six month pilot involving the use of e-cigarettes as alternatives to regular cigarettes, at the Isle of Man jail was announced. The aim of this trial was to reduce the dangers caused by inmates lighting up and smoking “illicit materials” such as tea bags and banana skins, to substitute cigarettes following the implementation of a smoking ban in 2008. A group of vape shops in five U.S. states on Tuesday announced a trio of lawsuits challenging a rule adopted by the Food and Drug Administration that allows the regulator to treat e-cigarettes and similar devices like cigarettes. WASHINGTON - Imagine if cigarettes were no longer addictive and smoking itself became almost obsolete; only a tiny segment of Americans still lit up. That's the goal of an unprecedented anti-smoking plan being carefully fashioned by U.S. health officials. Someone needs to tell Congress that when it comes to marijuana, the genie is out of the bottle. LONDON — Philip Morris International (PMI) kicked off 2017 by reaffirming its commitment to a smoke-free future. This year PMI is taking that pledge to the next step. As Thailand maintains its strong position against e-cigarettes, the managing director of Philip Morris International (PMI) in Thailand, points out that its Heat no Burn (HnB) product iQOS, is not an electronic cigarette. Can Smokeless Unit Help Altria (MO) Make a Comeback in 2018? Altria Group Inc. MO , which has a solid base in the tobacco industry, has been bearing the brunt of receding consumer enthusiasm toward tobacco products as well as stern regulations by government bodies. Ray Story, a spokesperson for the Tobacco Vapor Electronic Cigarette Association – a trade group representing the e-cigarette industry – said the association is against underage vaping and is pushing for a national law requiring age verification for anyone buying vaping products. He said they are also against e-cigarette flavors that appeal to minors like bubble gum or cotton candy. Researchers from the University of North Carolina Lineberger Comprehensive Cancer Center, are expressing their concern, as their latest study indicated that the number of online e-cig vendor has increased by over a threefold between 2013 and 2014. Health professionals are advising people in Australia to give up tobacco cigarettes and switch to e-cigarettes instead. They say it would potentially save more lives in the country. Health experts have gathered in Melbourne, Australia to discuss how e-cigarettes can help tobacco smokers give up their habits. Will KT&G’s e-cigarette brand hold its own against market leaders? [THE INVESTOR] KT&G has officially released its first heat-not-burn tobacco product, also called e-cigarette, Lil, after months of planning. The question now is whether Korea’s dominant tobacco maker can lure smokers away from rivals like Philip Morris International and British American Tobacco whose products have gained market share. Assuming that product quality is similar, prices will be a big factor determining KT&G’s success.